Once again, the City of Bridgeport will be playing host to a major sporting event. This time, however, it will be indoors and at Bridgeport High School. 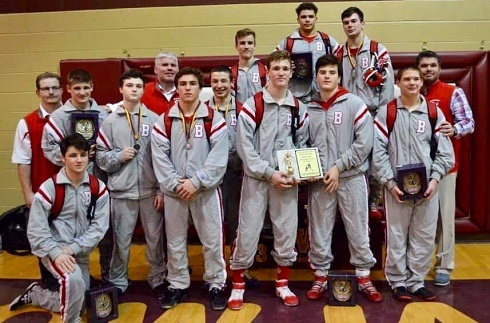 Bridgeport High School Assistant Principal and Athletic Director Mark Jones has confirmed that the Class AA-A Region II West Virginia High School Wrestling Tournament will be held this Friday and Saturday at BHS. On Friday, weigh-ins will take place at 2 p.m. and wrestling will begin at 4 p.m. Spectators are asked to refrain from arriving prior to 3:15 p.m. to allow students to depart school and to open up parking spaces to facilitate the crowd. On Saturday, weigh-ins begin at 8 a.m. Wrestling will start at 10 a.m. The teams participating include Braxton County, Bridgeport, Clay County, Doddridge County, East Hardy, Elkins, Grafton, Lewis County, Liberty, Lincoln, Moorefield, Notre Dame, Philip Barbour, Roane County, Robert C. Byrd, and South Harrison. Admission is $6 for adults and $5 for students. Concessions will be available.